A blog for complete information about Mechanical Engineering. 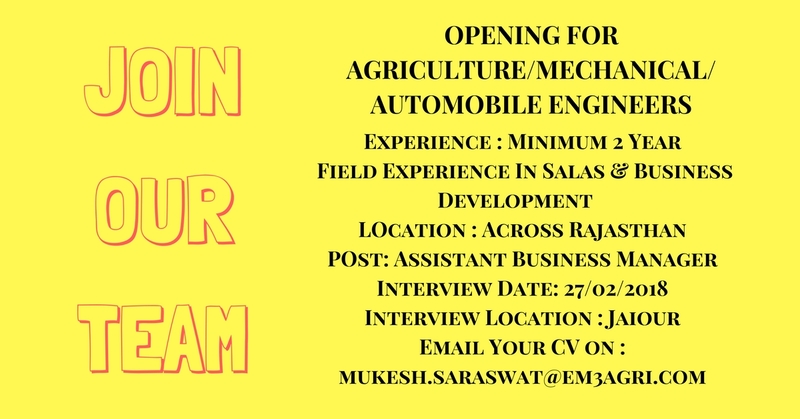 An ABM in his districts/region of his designated state, is responsible for meeting the supply target of adding harvester/tractor and machine owners by working through the dealer network of existing OE. He will be responsible, along with his regional manager for implementing the short and long term business plans. He will be expected to drive the business and work with his team to ensure success. He would be accountable for maintaining relationship with all external stakeholders. He will be expected to optimise performance as per the company policy. 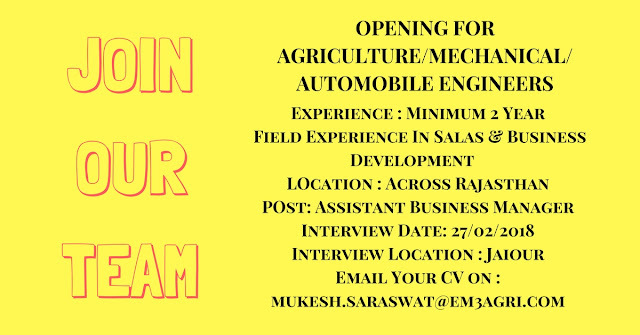 2 to 4 years of work experience with Agriculture/Fertilizer/mechanization/ NBFCs, micro enterprises or banks. MEANING OF GRADE WRITTEN ON BOLT HEAD EXPLAINED !! KNOW WHY CARS DO NOT HAVE HOLES IN DISC BRAKE !! Mechanical Minds. Powered by Blogger.